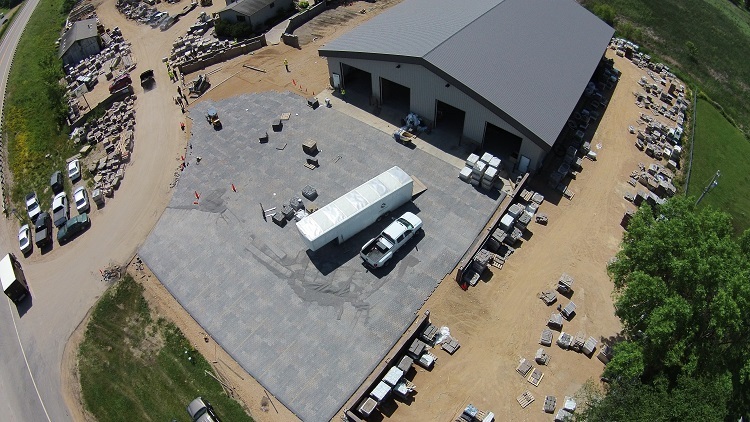 The Interlocking Concrete Pavement Institute demonstrates permeable interlocking concrete pavers (PICP) as a durable cost-effective solution for compliance to national, state/provincial and municipal storm water regulations. PICP can reduce runoff and pollutants from walkways, patios, driveways, parking lots, alleys, parking lanes, and low volume streets. The surface consists of solid concrete pavers with small, stone-filled joints that allow water to flow into highly permeable, open-graded bedding, base, and sub-base aggregates. The spaces among the aggregates store water and enable infiltration into the soil sub-grade rather than generating surface runoff. The paver joints provide 100% surface permeability. At Structures, we can provide not only a feasible solution to storm water control, but impressive improvements to project schedules as well. 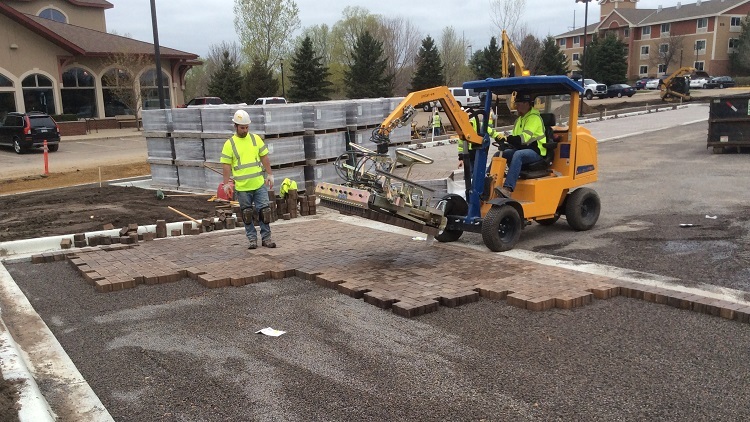 With the use of a Probst Paver Machine, we are able to double, and sometimes triple production speeds to laying pavers traditionally by hand.